An item reported that the Polish Central Administration of the Inland Waterways resorted under the Polish Ministry of Shipping. There were branch offices at Wroclaw (former Breslau), Szczecin (former Stettin), Bydgoszcz, Gdansk (former Danzig), Warsaw and Krakow. 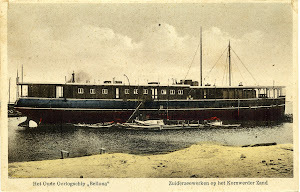 The Wroclaw branch office at Ulica Kleczkowska 50 directed by Orlowski operated the tug Scinawa with a horsepower of 180 hp and which was described as very old between Wroclaw and Kozle (Cosel).